Southeast Asia has a special place in the heart of many a traveler. Locations like Thailand, Malaysia and Singapore hold a lot of appeal, between gorgeous natural sites, unique cultural landmarks, and developing cities offering some of the best of the world’s luxury at more affordable prices. Indonesia is not a location to be overlooked. 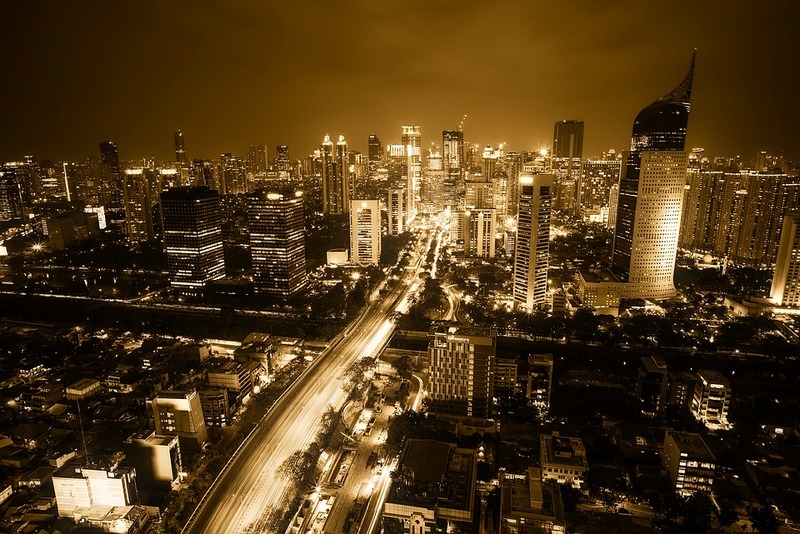 Jakarta is a truly massive city and a testament to the country’s huge historic importance with influences from Javanese, Malay, and Chinese culture as well as Indian, Arab, and European. Once and forever a trade hub of the world, let’s take a look at how exploring this vast city can offer a traveler everything they could want. Central Jakarta is the must-see spot of the city for tourists who want to take in all the most important sights of the city. The National Monument is an immense obelisk ruling over the center of the city, a worthy rival to the Arc de Triomphe in Paris, for instance. But it’s also the best place for galleries and a closer look at the country’s history thanks to destinations like the National Museum. Half-a-day is enough to see most of what Central Jakarta has to offer and you need to plan well in advance as heavy traffic on road and foot alike can slow your pace if you let it. But while you’re in Central Jakarta, it’s a good idea to find of the best places to eat close to you, as well. That’s because you’re going to find some of the best eating in the whole country in its foodie neighborhood, Menteng. Restaurants like Tugu Kunstkring offer the very best of traditional Indonesian food amongst a setting that can be only described as luxuriant, looking more like a palace dining room more than anything else. But there are options for those who are a little more reserved in taste, too, like the Aussie-inspired food at mapleandoakjkt.com/. Like any capital city, Jakarta is also the retail capital of the country. Central Jakarta has its fair share of places to stop. The Grand Indonesia Mall is the primary mall of the city (even the country) with a range of premium brands both domestic and foreign, while Surabaya Street opens to an almost dizzying market with plenty of traditional handicrafts, textiles, and souvenirs available. For a more varied shopping experience, however, it’s worth branching off to South Jakarta, where retail mega complexes like the Blok M Square offer a huge range, from the traditional to the boutique to the branded. Shopping in the South can be an expensive affair, however, so make sure you come with a little spending money budgeted. The South of the city is also the playground for the affluent, acting as a nightlife center and one of the most popular spots for tourists looking to experience a party, Jakarta-style. Clubs like Domain are the kind of hangout you can expect here, with a huge variety of music in a classy, smaller setting just as suited to socializing as it is to dancing your feet off all night. West Jakarta is a great spot for partygoers, too. It’s the city’s Chinatown, and it tends to be a lot more easy-going and a lot less congested than the South, but it still has plenty of restaurants, bars, and nightclubs. Double Doors, for instance, is a more relaxed live music bar for those who want at atmosphere to chill in rather than a playground for the party-loving. There are a lot of accommodation options in Jakarta, as you might expect given its immense size. If you’re willing to pay for luxury, then places like the Fairmont and the Ritz-Carlton can offer you the premium hotel experience you expect at reasonable prices. But some people don’t like staying in the most popular spots of Central or South Jakarta. Crowding is a real issue. So, if you’re open to travelling into the city from a more relaxed spot, it’s worth looking a little beyond East Jakarta to places like rumahdijual.com/cibubur/rumah-kpr-murah. Here, renting is inexpensive, as is the taxi service that takes only 20-30 minutes to reach the city center. If you’re willing to save on accommodation by renting a place for the short-term, you have even more to spend in the city. Jakarta can be expensive, like most tourist-friendly cities, but not all of it is going to drain your wallet. Some of the attractions are free and one of those is in what is widely considered the least tourist-friendly district of the city. East Jakarta is heavily industrialized and big portion of it is dedicated to the rails that connect the city to the rest of the country, but one spot worth taking the time to explore is exploresunda.com/taman-mini-indonesia-indah.html. A mix between an exhibition and a destination, Mini Indonesia is as it sounds: a collection of buildings and features borrowed and recreated from across six islands, giving you the chance to explore all of Indonesia in one location. It is not, as the name suggests, small, however. All buildings are at full scale, from traditional homes to ancient-looking temples. It’s a great representation of the sheer diversity to be found across the islands. A Southeast Asia vacation wouldn’t be complete with some awe-inspiring beaches to relax on, and North Jakarta is right beside Jakarta Bay and the Thousand Islands. Some are as close as a half-hour’s boat ride away from the city, others are a little further. There’s a lot of diversity between them, too. Palau Pari is that ideal Southeast Asian beach with sapphire waters, white sands, and as of yet unspoiled natural beauty. On the other hand, Palau Onrust is for those adventurers amongst you, featuring an old Dutch fortress serving as a fantastic living museum for the country’s once-conflicted past.